Ted Matson styles a Black Pine. Some great events are coming up at MHBS, below are a few highlights. Guests are welcome at club meetings so if you’re not a member, these are great opportunities to see what our club is all about. For more information or to sign up for a workshop, get in touch. 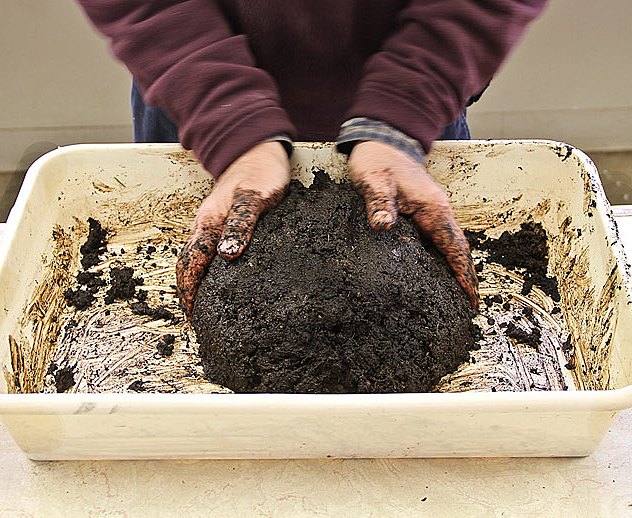 Poo Balls are a natural, slow release fertilizer for containerized trees and plants. We make our own at this workshop. Messy but fun and no actual poo is used. We’ll also be repotting trees. 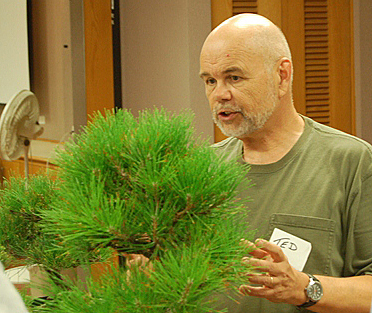 A bonsai instructor for 25 years, Ted Matson is an award-winning bonsai master. We are lucky to have him for this morning lecture and demonstration, followed by an afternoon workshop by reservation where he’ll help us style selected material. John Romano learned Bonsai from masters including Kenji Miyata at New England Bonsai Gardens and Nobuichi Urushibata at Taisho en in Shizuoka, Japan. This is a great opportunity to work with a master. Workshop by reservation. Find your own slabs and rocks at a great secret club location. It’s a stream bed so bring your boots. Our most exciting club event of the year. MHBS is the local host club for the national American Bonsai Society event, which will be held this year in Saratoga Springs, New York. Sign up for classes or just come and browse. If you are curious about bonsai, you will not want to miss this rare opportunity to see national level bonsai tree displays, shop vendors, or learn from bonsai’s top masters. Learn more at For the Love of Bonsai. Oh boy! Bonsai enthusiasts love muck recipes, so here are a couple more, shared with permission from Florida’s Lakeland Bonsai Society.